This education programme is published to enable the viewer/reader to come to terms with the basics of Marxism Leninism: the science of the revolutionary proletariat. 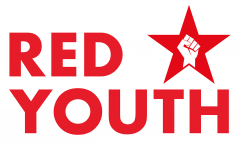 Over the last few years the Communist Party and Red Youth have produced a wealth of presentations covering many aspects of Marxist Leninist science and contemporary events. We gather some of the videos together here along with some important articles to help young revolutionaries get a grounding on the basics and overcome the ideological confusion which has done so much harm to the left wing and progressive movement in Britain for so many years. If you find yourself wondering why every Trotskyist group basically advocates what you hear on TV, in school and in parliament, if you’re looking for answers and not mere slogans – this is the place to start! Use the drop down menu above to select a category, or begin with learning a little more about the CPGB-ML and Red Youth on the other pages of this site.